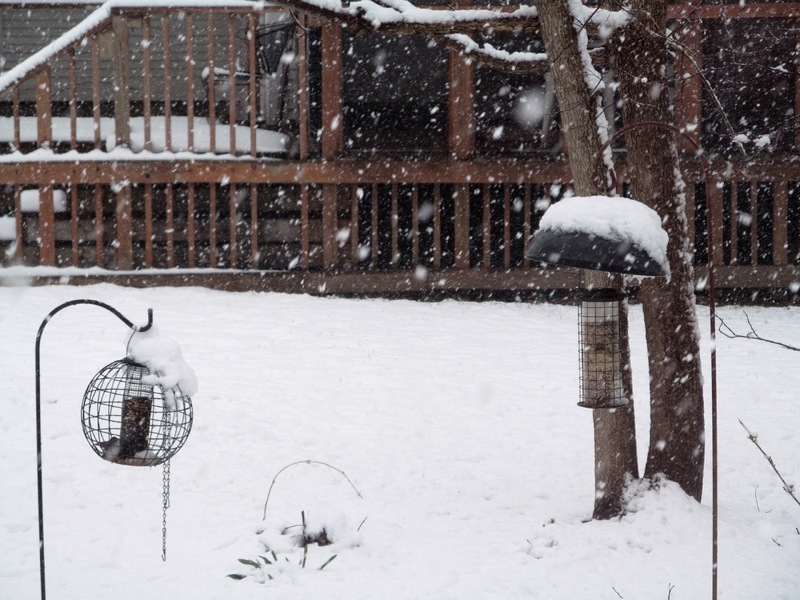 This is about 4 p.m yesterday and the birds were all flocking to the feeders and below them. There is a mourning dove on the ground and a cardinal on the feeder at the right. 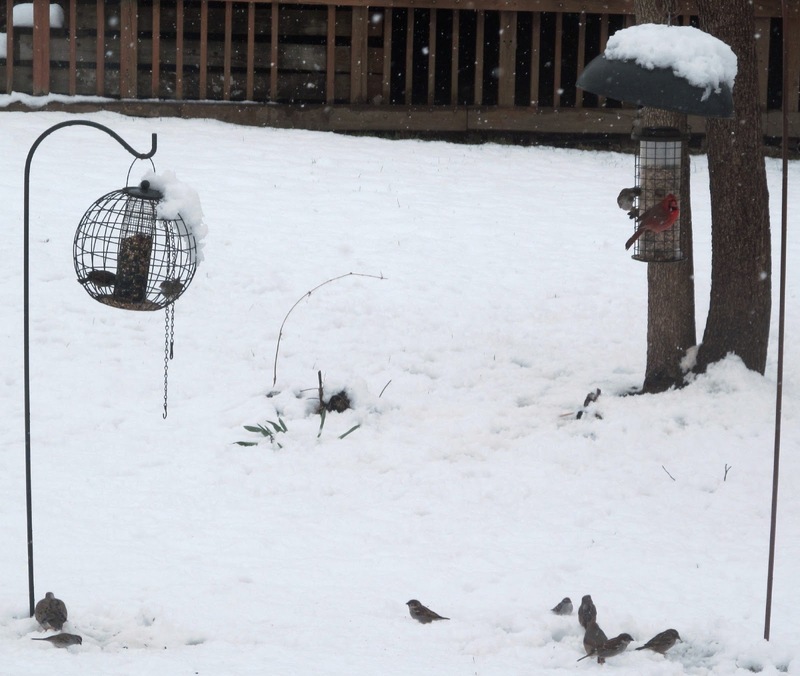 The rest are sparrows, chickadees and junkos. Other than walking out to pick up my newspapers early in the morning I spent the day inside, nice and warm and dry. 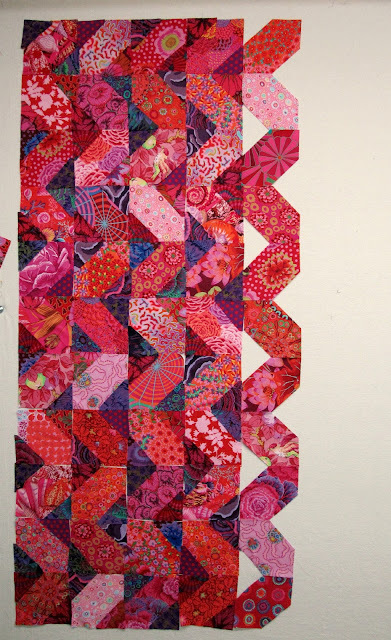 I cut 2 more fabrics for the larger pieces in this quilt and got 2 more columns up on the design wall. I didn't get around to looking for more triangle fabric. While I watched TV last night I sewed the "pickle" Kona solid between triangles. I still have to trim the tops into points. 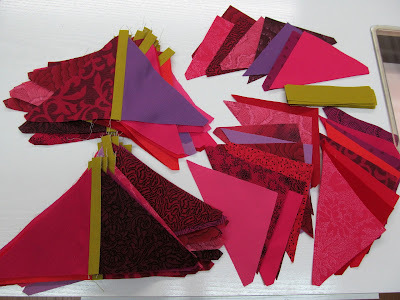 I have paired up the rest of the triangles laying there. The rest of these will be my TV sewing project all this week. The last 2 white cactus blossoms have opened. Bummer with having more snow! It was snowing and raining on my way to work this morning. It is still snowing, but not enough I think that there will be any accumulation. I really like the new quilt. I can see a lot of design possibilities with that block. I need make some baby girl quilts so I may have to give that a try. How big are your blocks? I like the final layout of the OBW top. 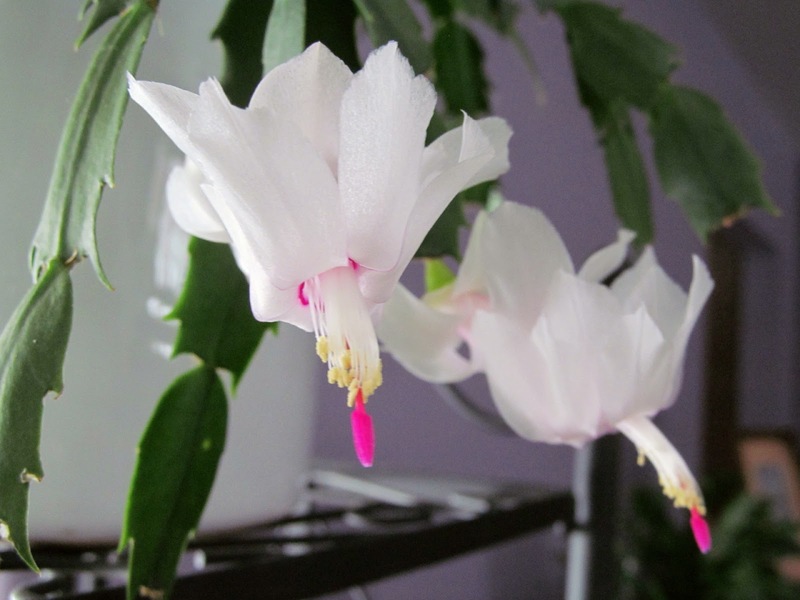 The cactus flowers are so pretty. We had snow flurries and rain but a terrible cold wind yesterday. Love this new quilt top as usual and that white bloom is precious. Snow so late in the year is just insulting. I hope it melts quickly. The weather kids are predicting snow off and on all week or us. But I'm hoping it won't hit the ground. You had quite a productive day, as usual. And I love the zig - zag piece. My sister in Boulder has still been getting snow, too. Crazy weather all over.